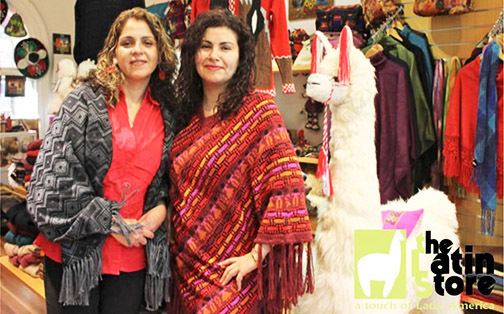 Veronica and Patrica Avila, Directors of The Latin Store, say Mentor Rick Chisholm has helped their business focus on its strengths. If you want proof business coaching actually works look no further than the Latin Store. Veronica and her sister Patricia have worked with Rick Chisholm for the past 2 years. They started the business 5 years ago, and the first three years were slow—till they began working with Rick. Veronica says, “It’s an excellent return on the monthly investment I spend on coaching.” The business now has annual revenues of more than $500,000, a far cry from where it was. “Rick helps us focus on what we’re good at, stay on course and implement new strategies to cut costs, and not make the same mistakes he himself made in his many businesses over a thirty year period. He also helped expand our wholesale arm by licensing our brand to other retailers whilst maintaining total control. He’s also taught us about the importance of KPIs (key performance indicators) and in formulating internal systems to reduce my time in the business so I can spend more time ON the business. Before, it was all about me and now it’s about the business, not just Veronica or Patricia”. Rogelio Emesto Moreno, Managing Director of ABC Squash and Fitness, says coaching is helping him turn his business around and make positive serious business decisions. 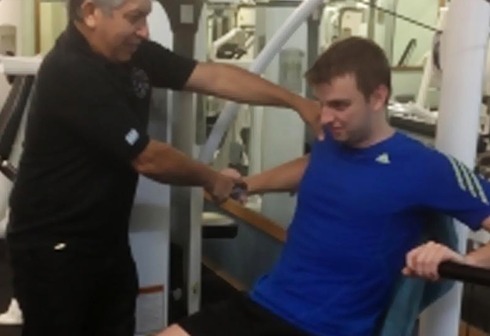 Ernesto, the sole director of the ABC group of gymnasiums and squash courts, also uses business coach, Rick Chisholm, who he says has helped him concentrate on working on the business. He credits Rick with training him to focus on the KPIs and building the team, not just working 80 hour weeks in the business. KPI, which also stands for “Key Person of Interest’ is something that is close to his heart. Ernesto says the return on his investment (ROI) in business coaching is ‘difficult to quantify”. He finds the value in it is sitting down once a month and having to answer the hard questions. Then going front up every second month in a group of entrepreneurs that keep each other accountable. It’s this magic combination that creates unbelievable results even while being highly educational. “Areas of the business like what our ‘unique-value-propositions’ are and who our customers ‘really’ are and what they ‘really’ expect. So many strategies cost nothing to implement and create fantastic results. It’s really helped us because at heart we are not marketers. We find ourselves doing artwork for flyers by the seat of our pants, letterbox drops and old school marketing. Rick has shown they are not going to work unless they are executed in accordance with modern marketing. With the number of local gyms going from five to thirty, we have had to change our whole approach. We are now getting better results. On top of this, we don’t have a sales background and Rick has shown us how to talk to customers. After our first meeting, Rick identified $1,500 per week of savings”. Andrew Mackenzie, CEO of business coaching firm Shirlaws, has developed a formula to demonstrate the return on investing in a business coach. Ultimately, coaching is only going to produce results if you follow the advice the coach gives you.